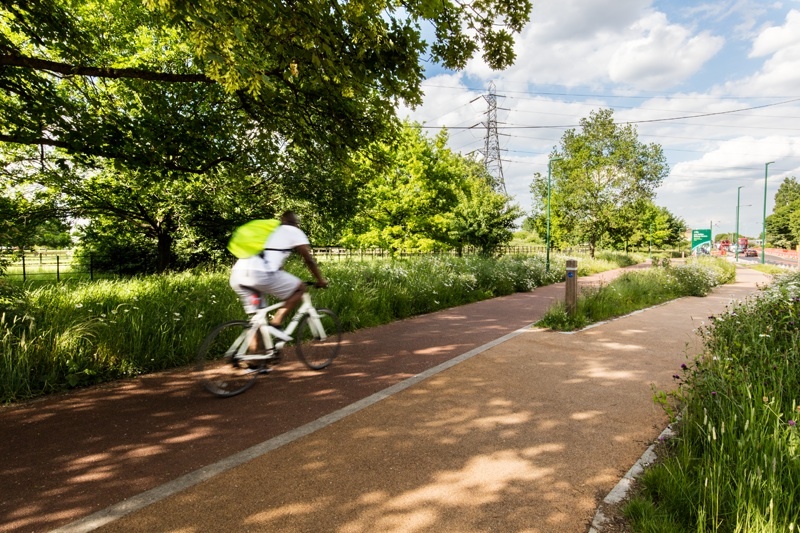 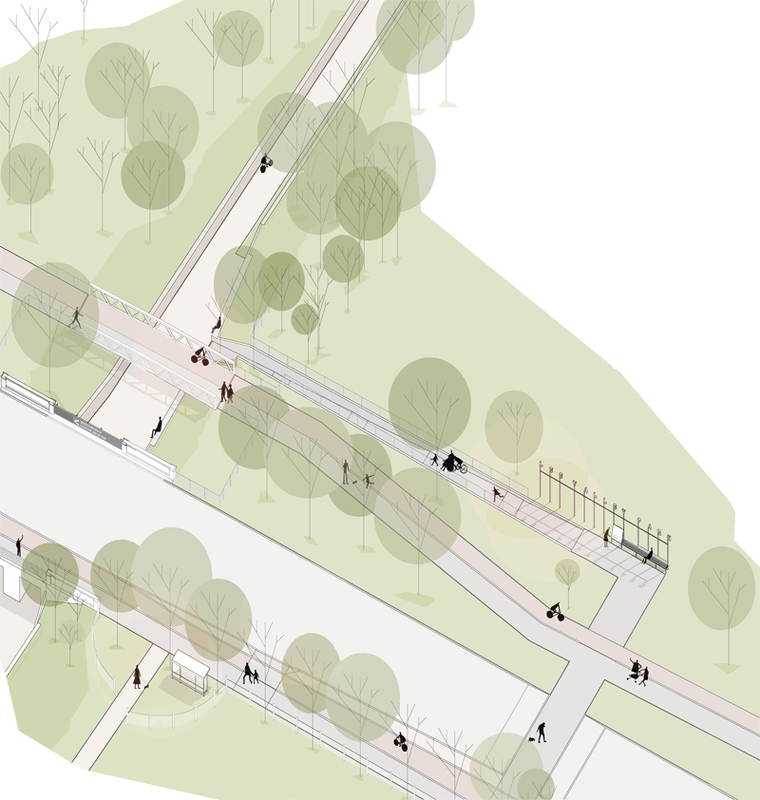 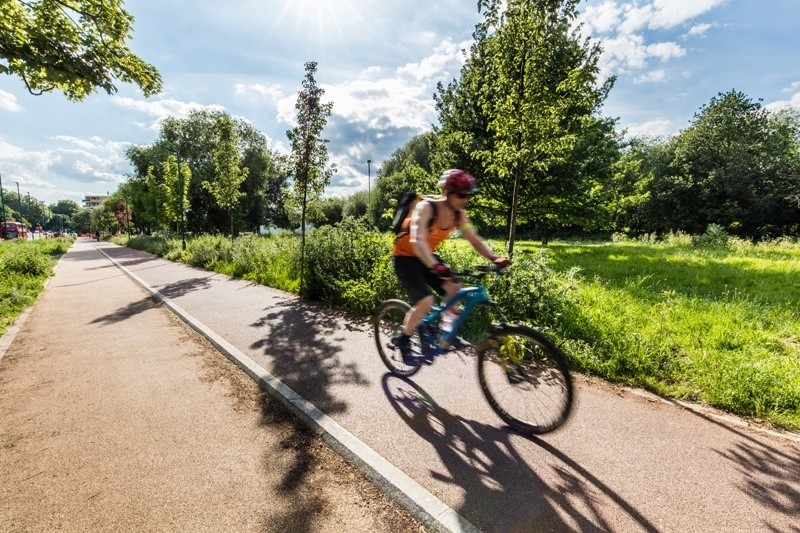 As part of the mini Holland commission what if: projects have developed the urban design for the cycle superhighway along Lea Bridge Road. 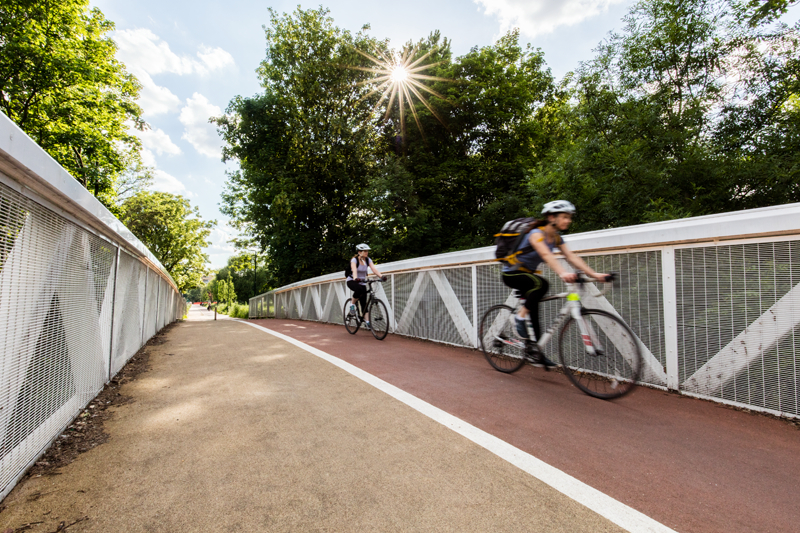 The implementation of a new cycle bridge commenced in the autumn 2015. 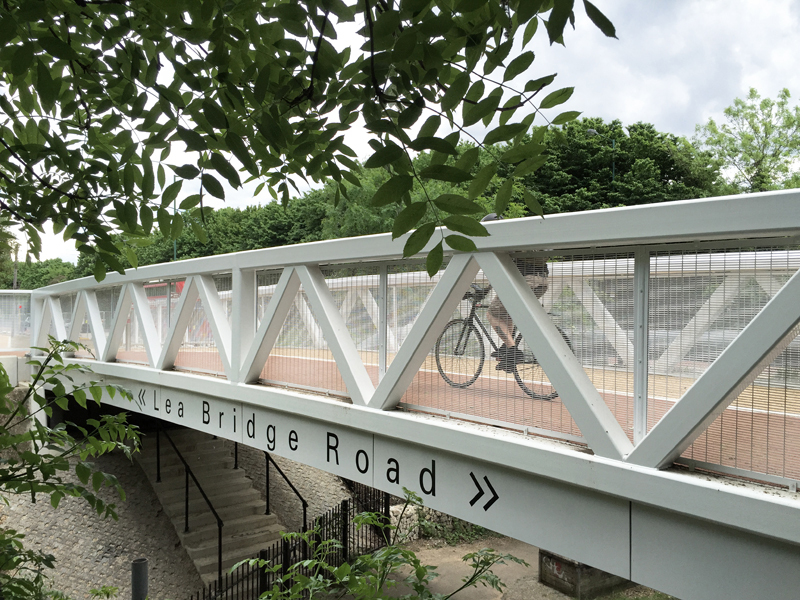 Located in the Lee Valley Park the new cycle bridge spans the former aqueduct, a walking and cycle route connecting Dover to the Shetland Isles.